This year, though, I did a bit more research- other than how to plan the best trip to the event!- and learned more about ballooning and the history of the event. The Albuquerque International Balloon Fiesta began almost 50 years ago, in 1972, with just 13 balloons in the Winrock Mall parking lot. 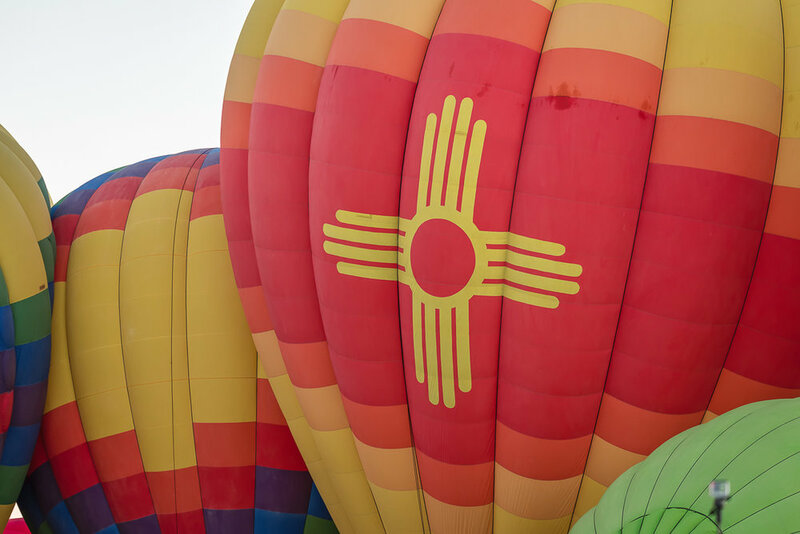 Through the years, it has been hosted at several locations, including the New Mexico State Fair Grounds, several school fields, and finally, at it’s custom designed, 365 acre Balloon Fiesta Park. From the year 2000 onward, there have been over 1000 balloons participate annually in the fiesta, making it the largest ballooning event in the world! 1000 balloons in the New Mexico sky is a pretty gorgeous sight! And, while there is so much that I could talk about (like ballooning awards and honors, and attendance statistics), I would much rather leave you with this: my favorite memory from this year’s Fiesta was watching my oldest son, Christopher, get to help launch the American flag on the signature Balloon Fiesta Balloon on the first day of this year’s Fiesta! 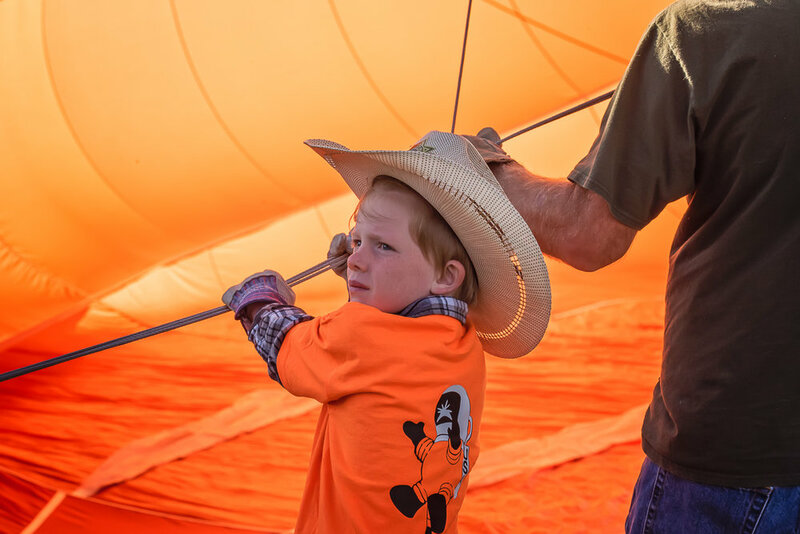 It was so cool to watch him and the other kids hold the flag while the crew righted the balloon after it’s cold inflate! They even got to hold that flag right up until the balloon was off the ground high enough to hold the flag itself! Until next year, we’ll be dreaming of our colorful skies!